Posted in: Daily Posts. 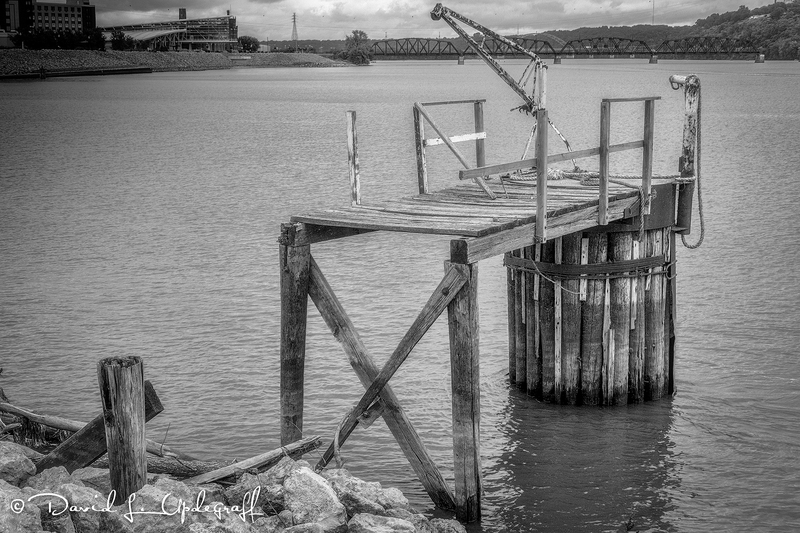 Tagged: Black and White Photography, Julian Dubuque Bridge, landscape photography, Mississippi River, Photography. 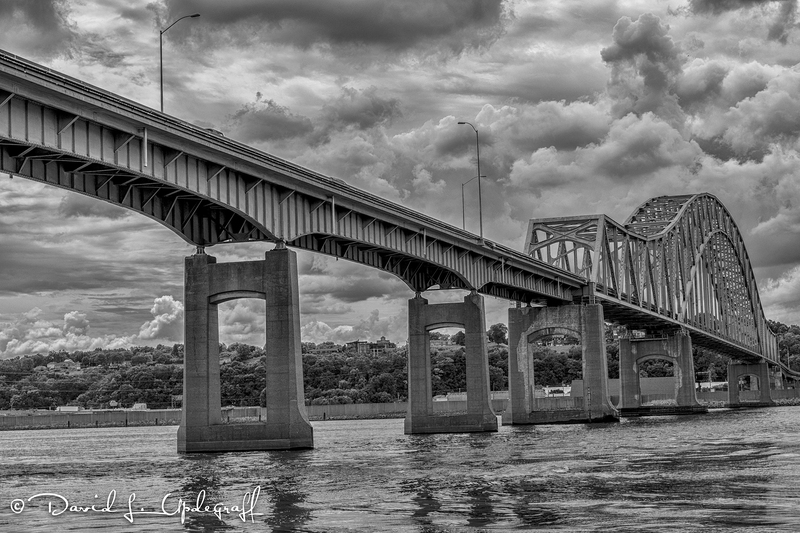 A couple of weeks ago my friend Andreas posted an image on his blog that he took of the iconic Julian Dubuque Bridge that goes between Iowa and Illinois. He shot it from an angle that I was unfamiliar with. 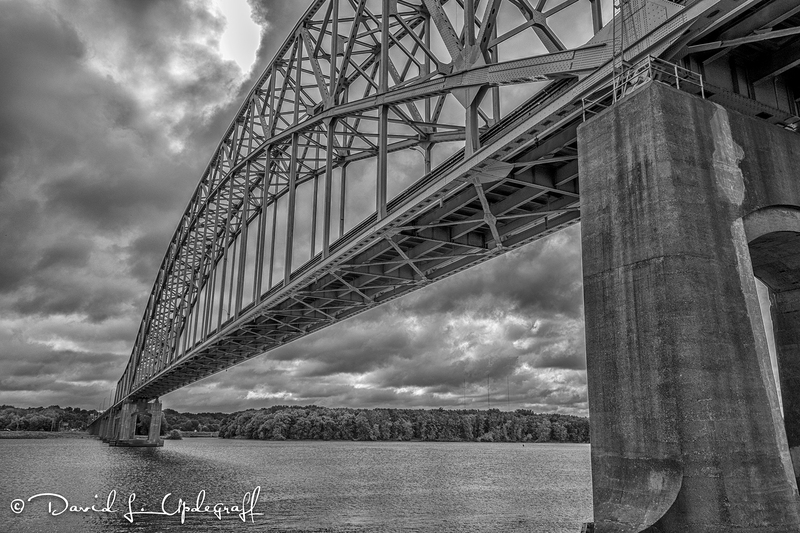 I’ve taken hundreds of images of the bridge from both sides of the river but I really liked what he had captured. This is an image of the JD Bridge from the Illinois side of the river, which I took a week ago and it gave me a clue as to how to get to the location I was looking for. It’s not an easy trek and not without some peril as the rocks are large and very difficult to walk on. Click on the image to reveal a larger more detailed version. On the way back to the car I saw this structure protruding from the river. I assume it is some type of tie off for river boats or barges. It was a fun Saturday morning and I got some interesting images from the Farmers’ Market.